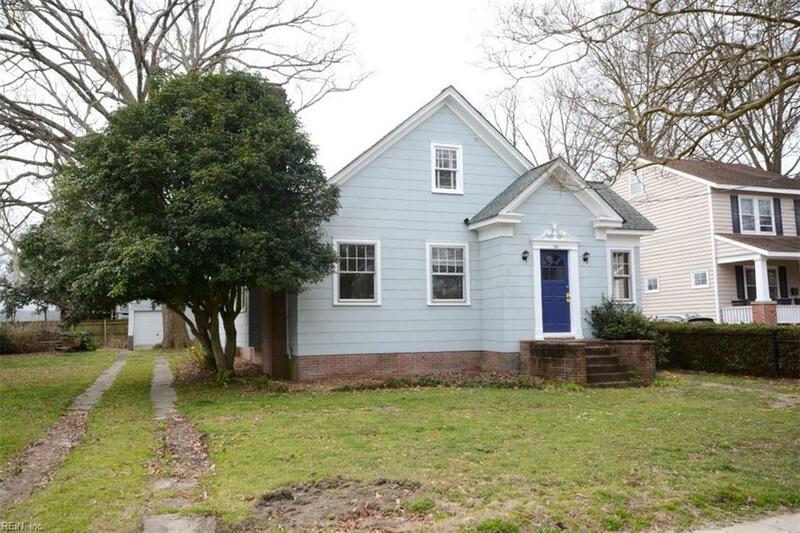 1745 Fontainebleau Cres, Norfolk, VA 23509 (#10243602) :: Abbitt Realty Co. HISTORICAL CRAFTSMAN HOME ON QUAINT CIRCLE. NEW HOME OWNER'S WILL ENJOY THE BEAUTIFUL TREES AND WILDLIFE IN THEIR BACKYARD OASIS. LOTS OF LOVE, TEARS AND SWEAT HAS BEEN PUT INTO THIS HOME BY OWNERS. Open concept makes this home bright and sunny, new roof and a wonderful bath with spray jets and designer tile. New homeowner will need to put additional work into the home to make it there own but the huge potential will be worth the effort. This home is truly one of a kind.